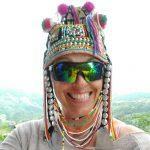 The world of SEO can make you wear many hats. If you research SEO techniques, you will likely find yourself deciphering what constitutes a white hat, gray hat, or black hat method. But, understanding the difference is crucial to understanding why your SEO techniques may be making you fly under Google’s radar – and not in a good way. The Google algorithm is a tricky one that favors some SEO methods while penalizing others. White hat SEO link building incorporates the techniques you want to focus on to rank your site in Google. Think of them as the methods that get the “thumbs up” from Google and gray or black hat methods as those that Google frowns upon. 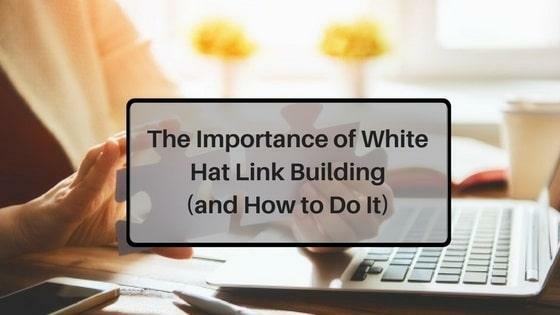 This article will show you some of the top methods that a white hat link building service uses to grow traffic organically with practical tips that you can use on your own. White hat SEO includes search engine optimization methods that incorporate positive strategies for growing traffic and an audience naturally while following the rules set in place by search engines, like Google. When you use white hat methods, you ensure that you use non-deceptive or sketchy techniques to rank in search engine results above your competitors. Although white hat SEO methods are the ones you should strive to use, you may find some black hat and gray hat techniques tempting. Black hat SEO methods include non-ethical practices of ranking in search engines, like using your own website network to create backlinks (Private Blog Networks or PBNs) or using automated tools to create content or build links. Gray hat SEO techniques walk a fine line between black and white hat methods and are ones that Google hasn’t quite supported or refuted. White hat SEO link building takes more time than black or gray hat techniques. But, they’re also better for your long-term strategy. Don’t be fooled by quick results you can get from black hat techniques because they won’t pay off when you get penalized by Google. 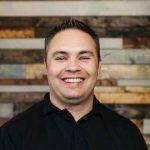 Why Do Search Engines Prefer White Hat Link Building Strategies? It’s not only Google’s algorithm that penalizes black and gray hat link building strategies. Other search engine algorithms also focus on weeding out sites that use black hat techniques, like content automation, hidden links, keyword stuffing, and more. Most search engines outline in their Terms of Service that sneaky practices like these will result in your site getting banned from ranking at all. You can’t afford not to use white hat link building strategies. One of the simplest white hat link building techniques to start with is using your own blog to build links. Internal links, or linking to your own content, and using quality, helpful keywords can help Google and other search engines learn what your content is about. You can also improve your relationship with other authorities in your niche by linking to their content within yours, which may improve your chances of receiving backlinks on their sites. Guest posting is the process of placing blog posts written by you on another blog. By reaching out to authority websites in your industry for guest post placement, you can receive a high-quality backlink or two to your site, provided the blog allows for it. Choose reputable sites with a lot of traffic and social media shares for the best exposure. Infographics are images that have loads of helpful information about a topic. You can also link to your best content by using them as sources for the infographic. Before you create the image, have links in mind that you want to link to and create the image around those pieces of content. Add a sources list at the bottom. Then, contact reputable sites in your niche to request potential use on their sites or social media accounts. Linkable assets are informative pieces of content that can help answer a question and cause people to want to share them. Case studies and list posts are among those that people love to link to on social media or their websites, creating an authentic, quality backlink to your site. Shoot for long-form content of 2,500 words or more, which can get you more backlinks and social shares than shorter content. Social media is one of the best avenues through which people discover new content. It’s in your best interest to encourage social media shares to get your content into more hands, which in turn, creates more quality backlinks for you. Engage with your audience on social media to encourage more views and shares and make share buttons are easily accessible on each of your blog posts. Building relationships with others in your industry can make it more likely for those people to share your content. You can start off by sharing and linking to their stand-out content. But, you can also join forums, Facebook groups, and other online communities in your niche. Remain active and helpful by answering questions and establishing yourself as an authority alongside others in your industry. Since over 50% of internet searches are from mobile devices, you must learn to optimize your site for mobile users. Google has reported that sites that aren’t mobile-friendly “may not rank as high” as those that are. That means that, not only should your site be mobile-friendly, but also those you’re getting backlinks on should be, too. Keep this in mind when prospecting sites for placement for infographics and guest posts. You can check your site’s mobile-friendliness using Google Webmaster Tools. Many companies showcase testimonials or brief blurbs from users that explain what they love about a product or service on their websites. Testimonials from experts in their industry help give the company even more authority. If you’ve used a product or service related to your niche, you can ask the company if it would like a testimonial from you. Alongside your name, ask if your testimonial will include the name of your company with a link to your site to create a quality backlink. Blog commenting can be a simple, but effective, way to let others know who you are, build online relationships with other authority figures, and build backlinks to your site. You can research some of your competitors with a tool like Long Tail Pro by searching for keywords you want to rank for. Leave meaningful, helpful comments on some of the top blog posts on the sites that allow “do follow” links in the comments, which will allow your link to count in search engines. You can use a NoFollow browser extension to find out if a site uses do follow links. Quality website directories can help people find your site and give you a good backlink. Be sure to check the Domain Authority (DA) and Page Authority (PA) of the site first by using one of several free online tools. The higher the score, the more helpful that directory will be for ranking your site based on your backlink. You can also create a business listing through Google, Facebook, Yahoo, and other authority sites to gain another quality backlink. White hat SEO techniques can take more effort and time to get results, but they’re well worth the effort for a long-term link-building strategy. Long Tail Pro can help you research keywords to find your competitors and other authority figures in your industry. Using this information, you can find quality sites on which to place guest posts and infographics and use other methods for backlinks, like blog commenting and creating helpful relationships. Whit hat link building techniques sure take some time but all thesame it makes sense to know that after sometime you get high quality backlinks. 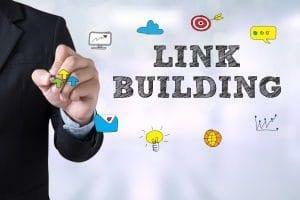 I once started a blog back then in 2014 never took link building so serious though until I moved to wordpress then I got to know about linkbuilding and it’s importance for Google rankings. I have found Longtail pro useful too for Finding really easy to rank keywords. PS: I wrote a very detailed tutorial today on Finding Long-tail keywords to rank for using LongTail Pro ? Very good explanation about SEO types. Very useful and informative post. Thanks for sharing. Just another wonderful piece of content from LTP. Do you have a guide on how to easily create backlink on related blog. Great compilation, very nicely presented. Almost everyone was praising Content Marketing and baiting links with epic content.White Hat SEO practices produce effective, long lasting and ethical improvements to your website and are always good business practice. Thanks for summing these up. Hi LTP this article is so wonderful. There’s no time I don’t visit this page to learn new things. Thanks for the tips. I mean everything is well explained. Thank you So much for sharing details regarding white hat SEO, quite helpful for me. This was so helpful, Thank You. We’ve been toiling away on our new Keto Website for three months now, and have struggled getting much organic search traffic. We’ll definitely take your suggestions and try to up our white hat link building efforts. Very unique post i must say. I like your content and your presentation. It is as always very nice. I liked the examples what you put on SEO. Thank you much for sharing this with us. I just wanted to confirm if we can apply these methods to a service providing site? Sure! You can definitely apply to a service site. The right type of links signal to search engines that your page is a reputable source & therefore increases your rankings in search engines.